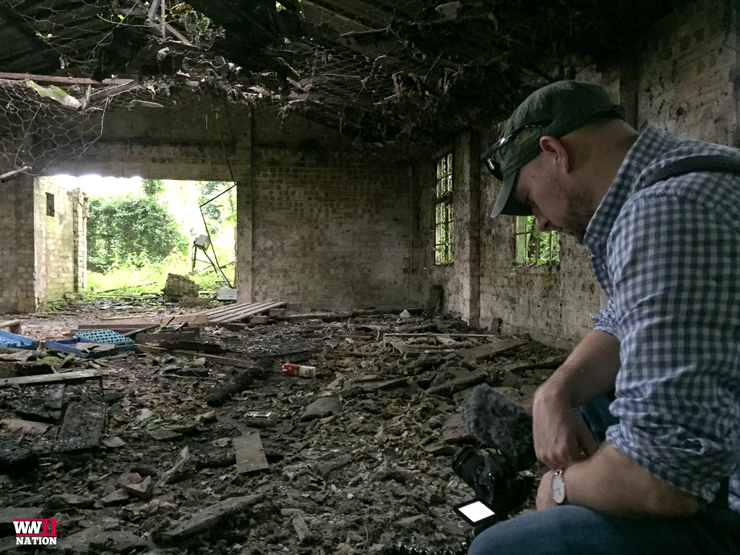 July has been a busy old month here at WW2 Nation and we decided to end it in the same way we had started it, with another filming trip. This time we returned to what is fast becoming one of our favourite haunts, Lincolnshire’s Bomber County. 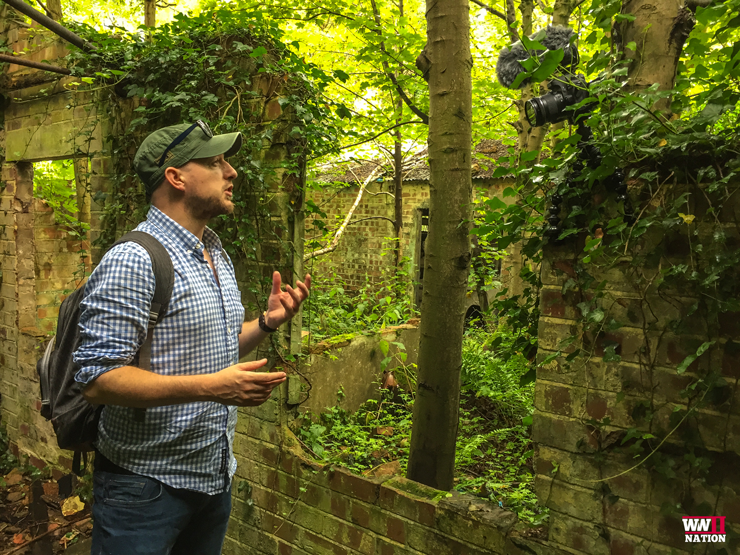 Staying at the historical Petwood Hotel – our HQ for the weekend – we explored the abandoned remains of the communal site of Bomber Command’s former airfield, RAF Woodhall Spa. 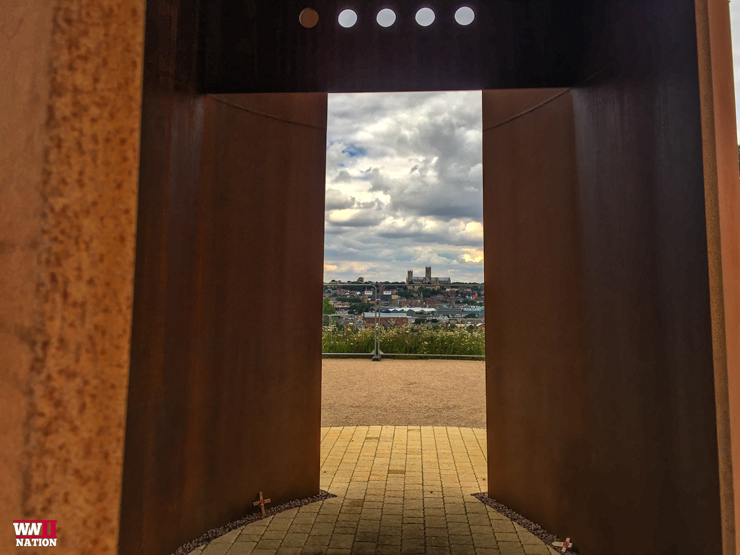 We also ventured towards the city of Lincoln to visit the incredibly moving ‘Spire’ Memorial of the International Bomber Command Centre that overlooks the Cathedral. 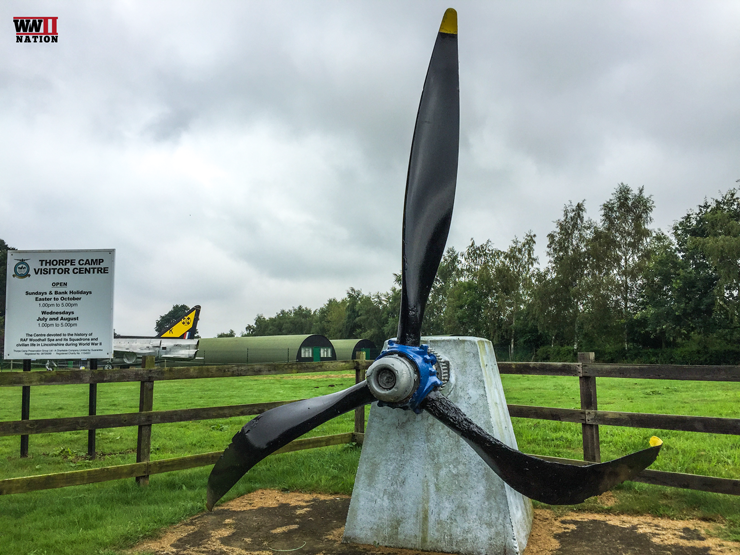 An AVRO Lancaster Propeller – recovered from the wash, it now stands outside Thorpe Camp and is dedicated to the personnel of the forces that served at RAF Woodhall Spa since 1942. 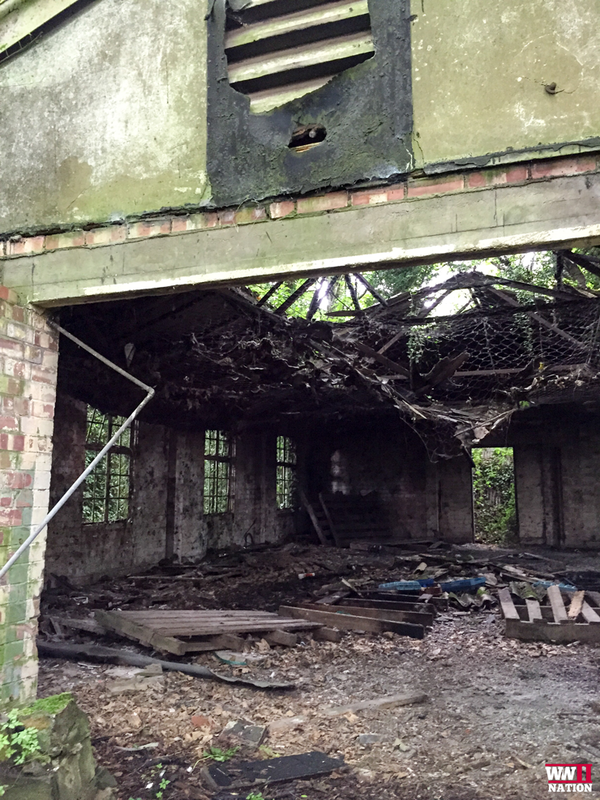 Construction of RAF Woodhall Spa, the bomber command airfield started in 1941. Completed in 1942, the site opened on 1st February. 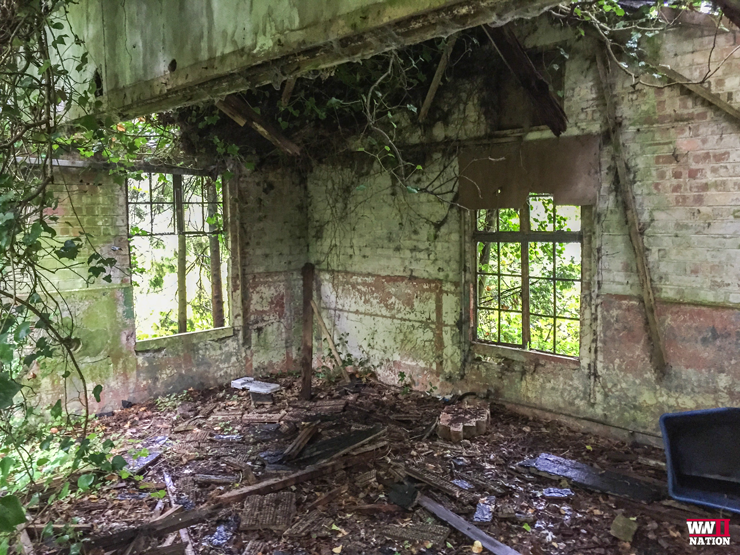 RAF Woodhall Spa was one of two satellite airfields that fell under RAF Coningsby’s sphere of control. 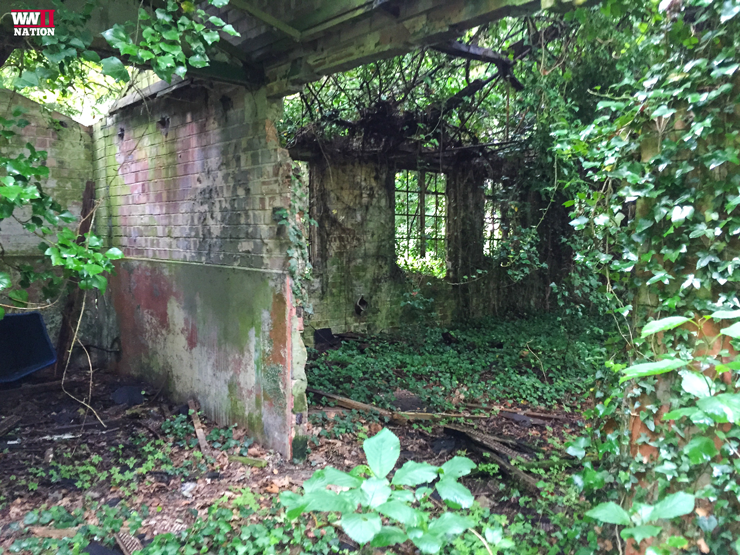 In March 1942 having recently re-equipped with Lancasters, 97 Squadron were moved from Coningsby to Woodhall Spa and were the first ones to call this place home. 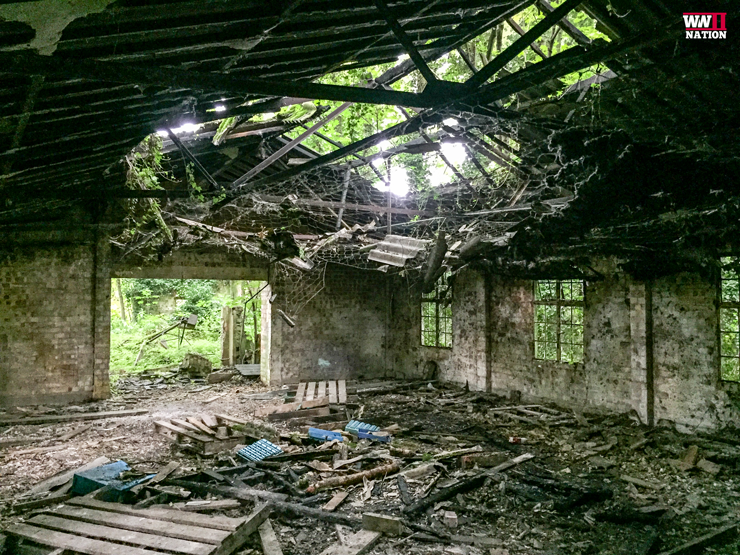 During its time at RAF Woodhall Spa, 97 Squadron took part along with 44 Squadron in the now famous daylight low-level precision raid on the Augsburg MAN Factory. 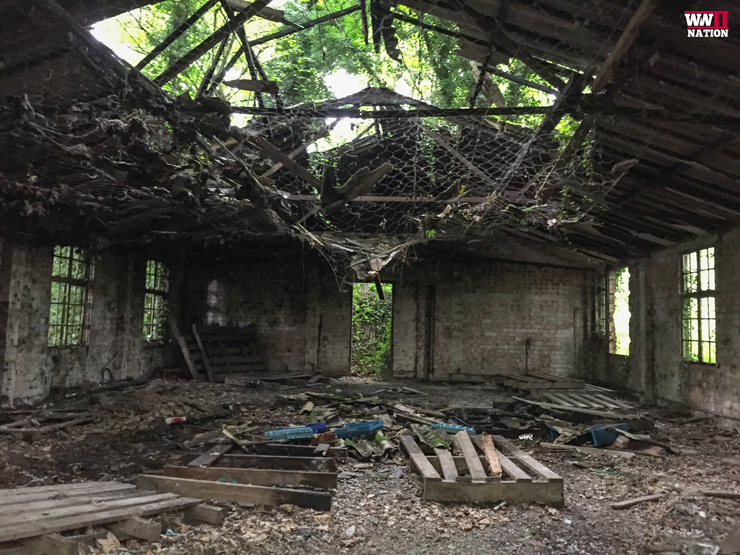 There were in fact 4 squadrons based at RAF Woodhall Spa during the Second World War, including for a very short period a Heavy Conversion Training Unit. In March-April 1943, No. 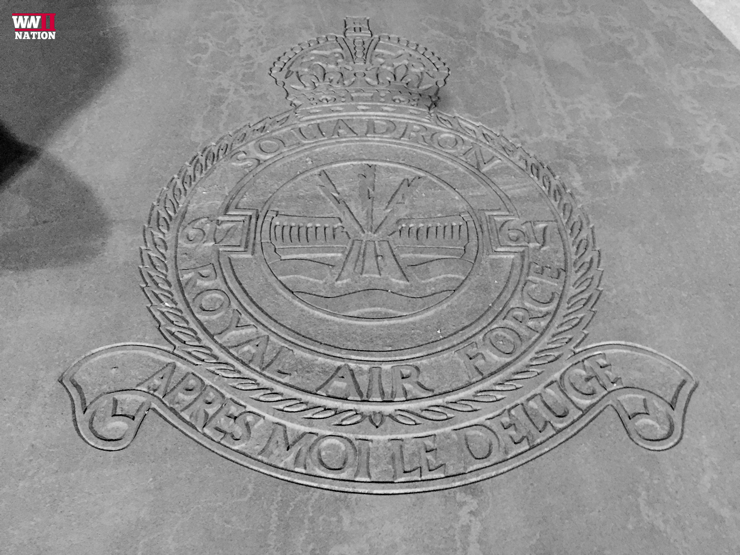 97 Squadron was moved to Cambridgeshire. Leaving behind a few experienced crews, a new squadron was created, No. 619. Based at Woodhall from April 1943 to January 1944. In January 1944, 619 Squadron moved to Coningsby where it swapped places with the now famous 617 Squadron. Part of 5 Group, the famous 617 ‘Dam-Busters’ Squadron was led by Captain Leonard Cheshire. A truly inspirational figure who made over 100 operational flights and was awarded the Victoria Cross. 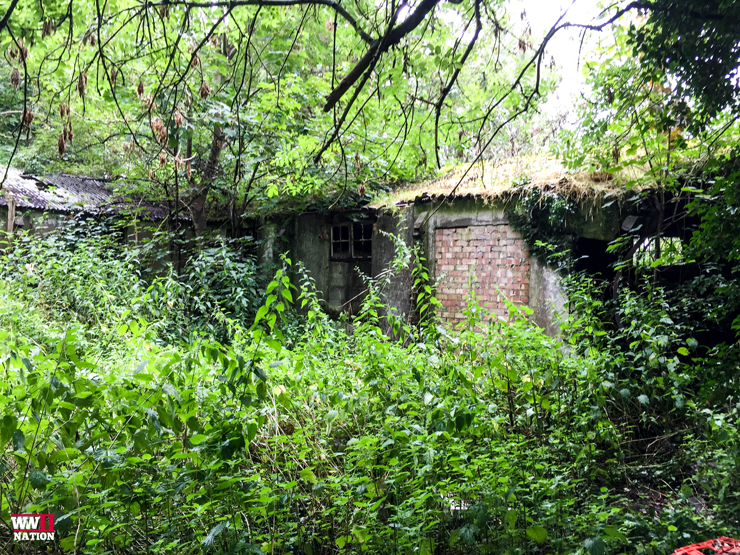 It was while based here that 617 Squadron took part in many important operations such as D-Day, the famous raid along with 9 Squadron that sank the Tirpitz, attacks on the U-Boat Pens and V Weapon launch sites, as well as many other operations. In April 1944, 617 Squadron was joined at RAF Woodhall Spa by No 627 Squadron with its elite marking de Havilland Mosquitoes. 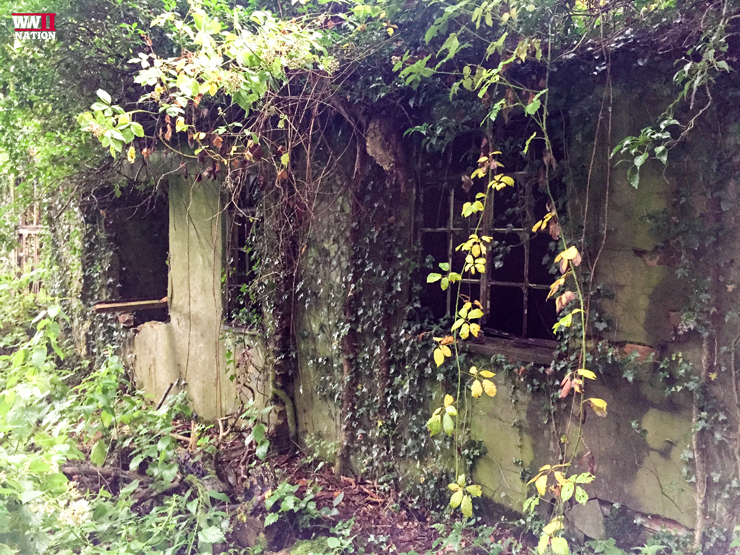 The buildings you see here of No.1 Communal Site sadly have fallen into a state of disrepair. They were only ever intended to have a life-span of just 10 years. 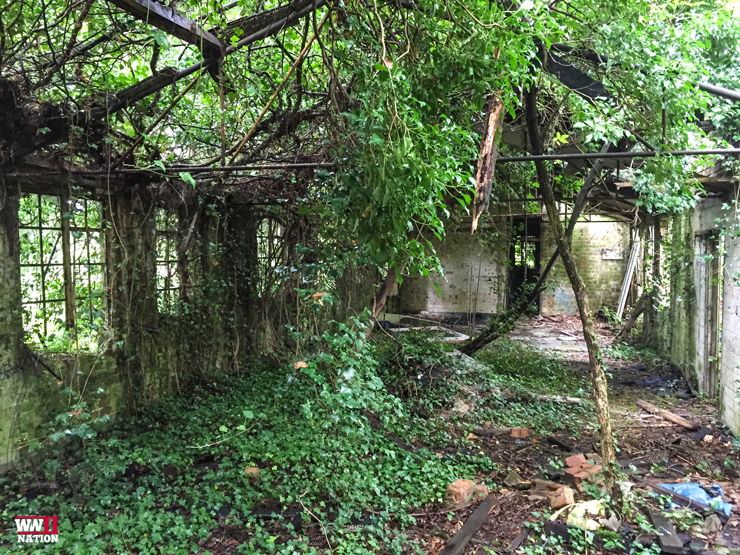 The buildings we explored, we are told, included The Officers Mess for 42 officers, Officers Baths & Latrines, Sgts Baths, Ablutions and Latrines, as well as the Sgts Mess for 125 Sgts. The No.1 Communal Site as a whole included the Officers and Sgts. 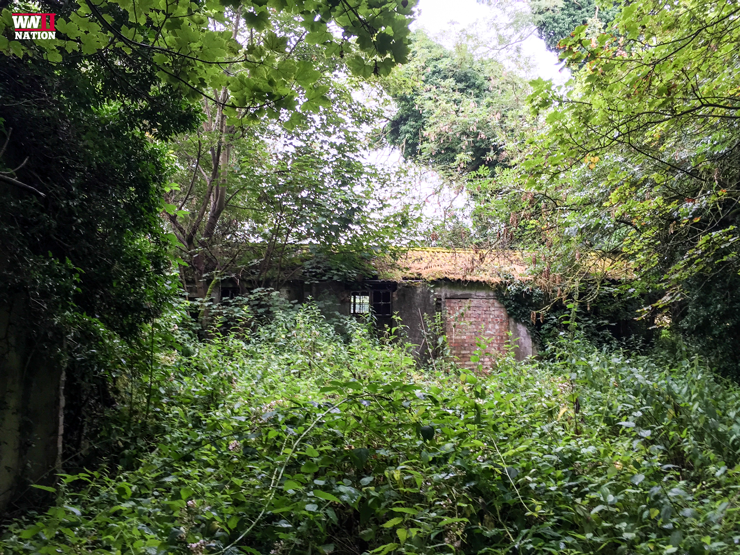 Messages, Dining Halls, The NAAFI, Ration Stores, Latrines and Ablution Blocks, part of this is still in good condition having been preserved and today makes-up the Thorpe Camp Visitor Centre. 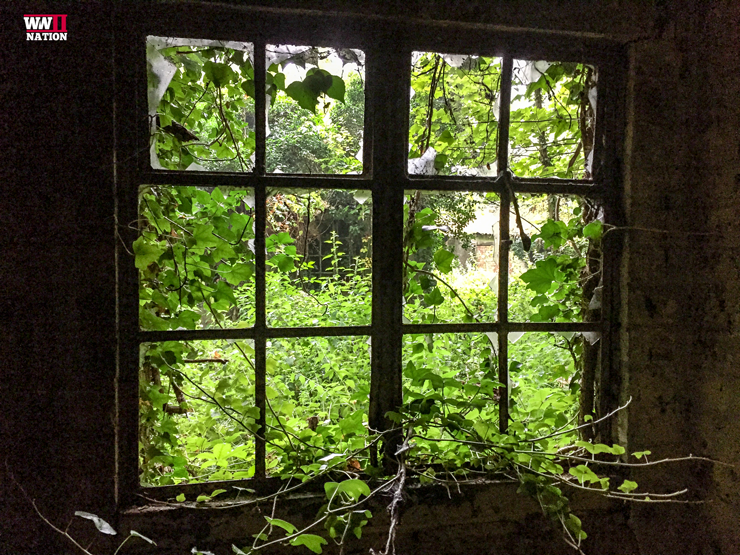 Sadly some 88 aircraft were lost at RAF Woodhall Spa while stationed / serving from here during the Second World War. 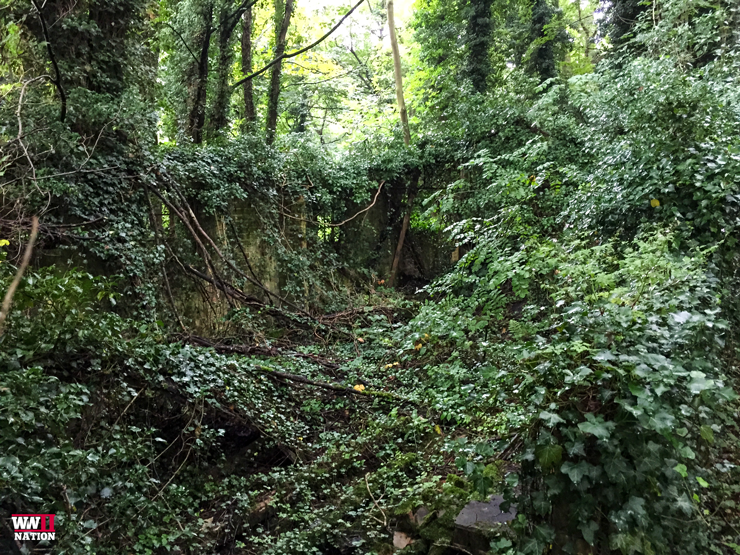 74 Lancasters and 14 Mosquitoes never returned. 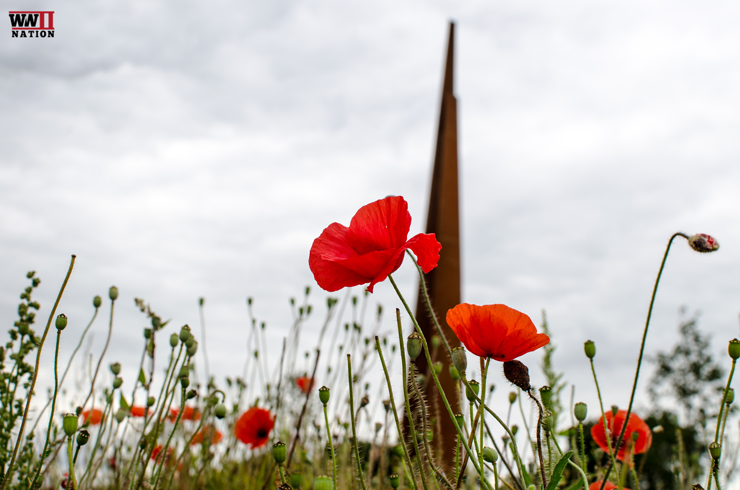 Later that same day we visited the International Bomber Command Centre’s Spire Memorial, dedicated to all those who served and died with Bomber Command during the Second World War. Over 125,000 aircrew served with Bomber Command in WW2. 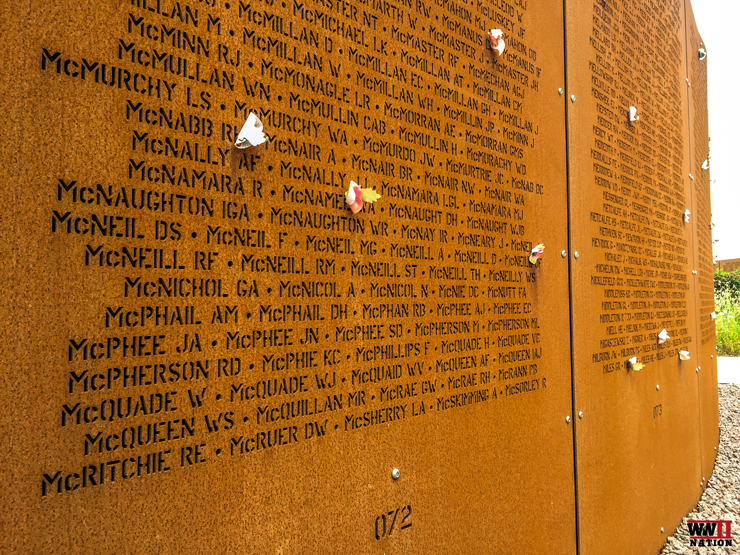 55,573 Bomber Command aircrew were killed in operations during the Second World War. 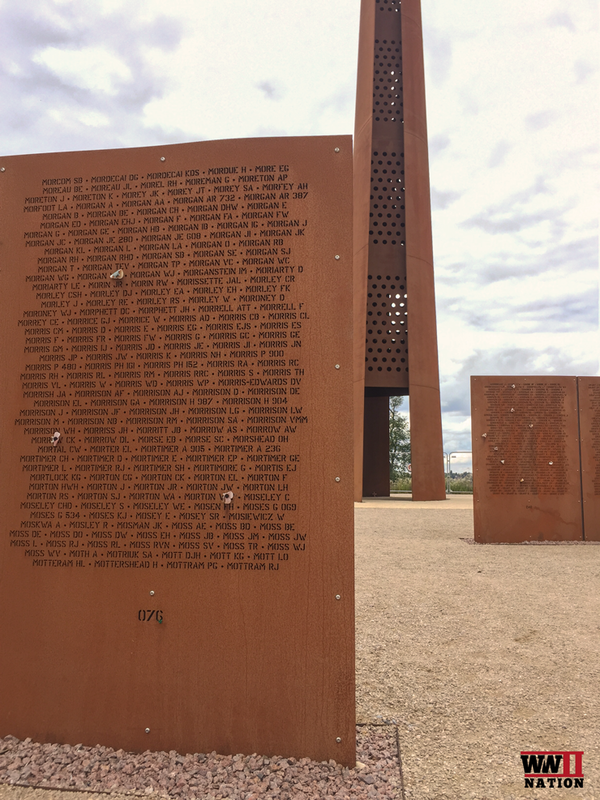 Made using Corten weathering steel, the memorial is 102ft (31.09m) high, the wingspan of the iconic Avro Lancaster bomber, and the width at the base is 16ft (5m), the width of a Lancaster wing. 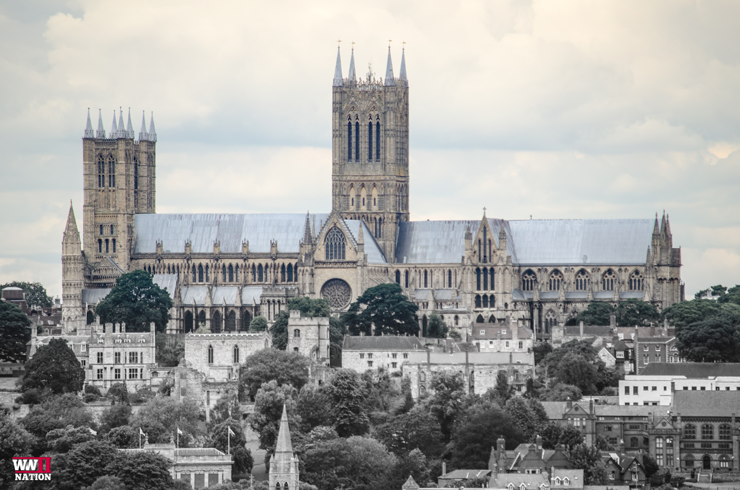 The Spire Memorial is positioned overlooking the city of Lincoln and the iconic Lincoln Cathedral. 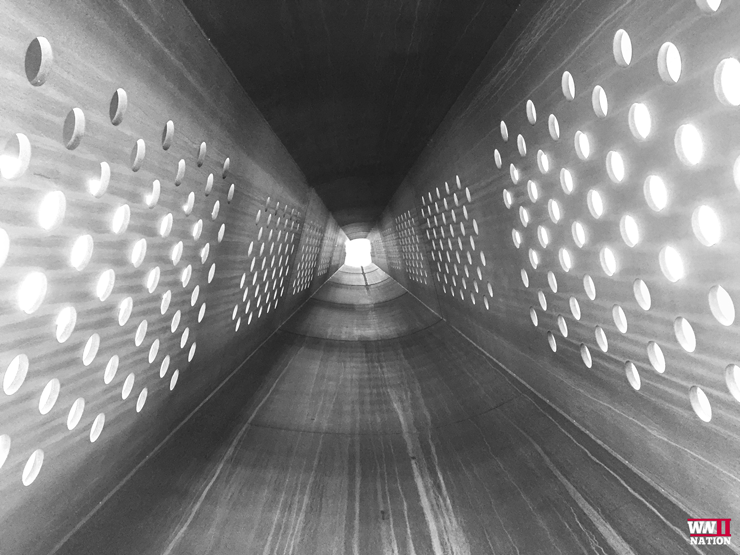 Although the IBCC is still under construction and therefore as yet no open to the general public, the team are running a number of free guided tours around the site. 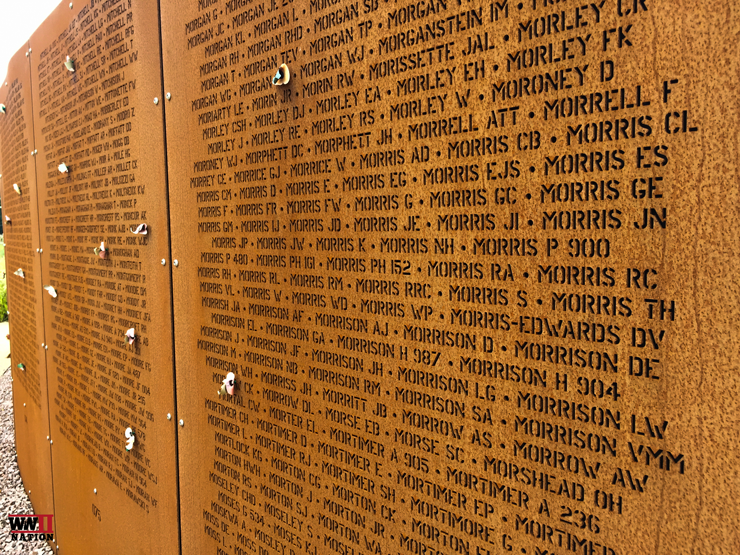 The first phase of the project is now complete and these initial panels include the names of 26,296 men who lost their lives in Bomber Command whilst serving as part of 1 and 5 Groups from Lincolnshire. 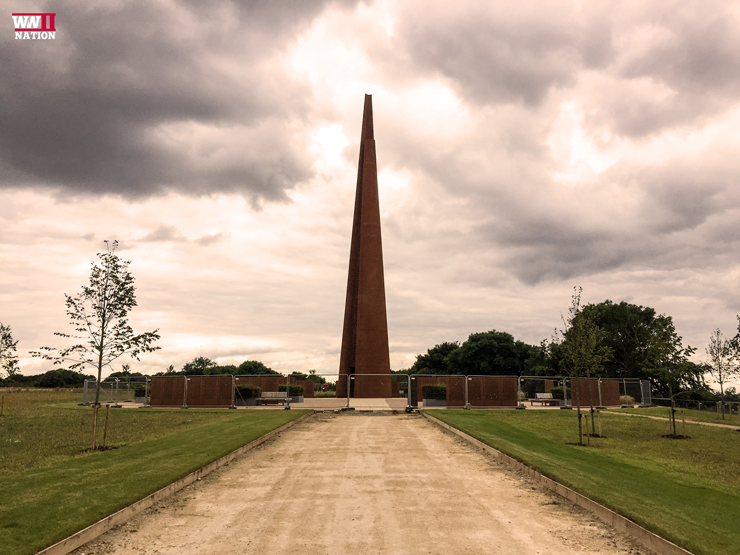 The IBCC Memorial has now been recognised as the UK’s tallest memorial. 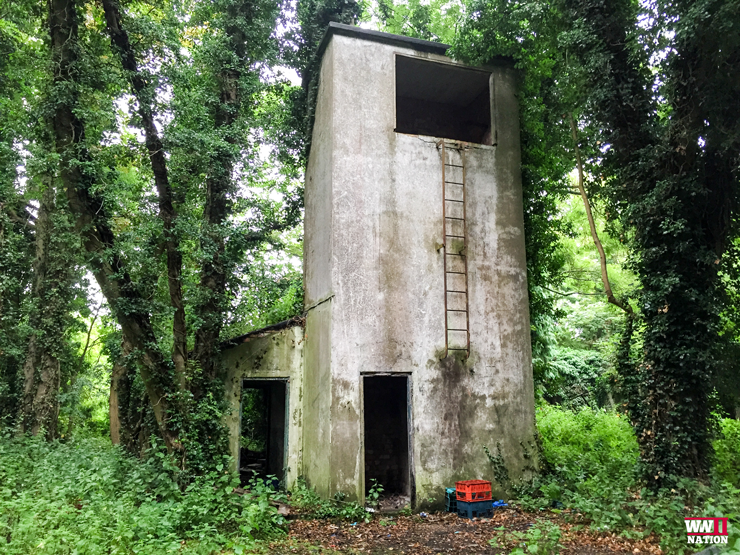 A guiding beacon home for many aircrews stationed near Lincoln and sadly also probably one of the last views of home that many of the crews would have seen. 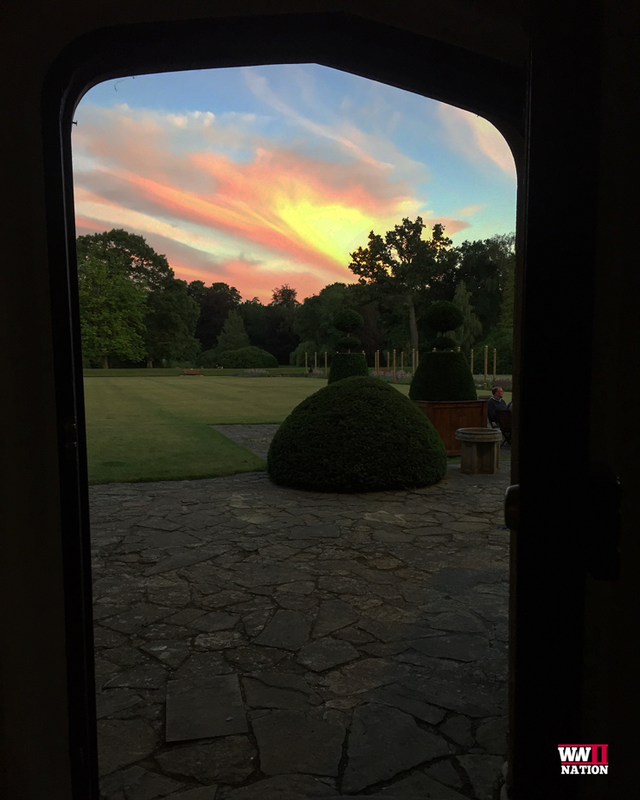 Following a successful and long day of filming, we headed back to HQ for tea and an enjoyable evening sunset over the Petwood Hotel’s terrace. 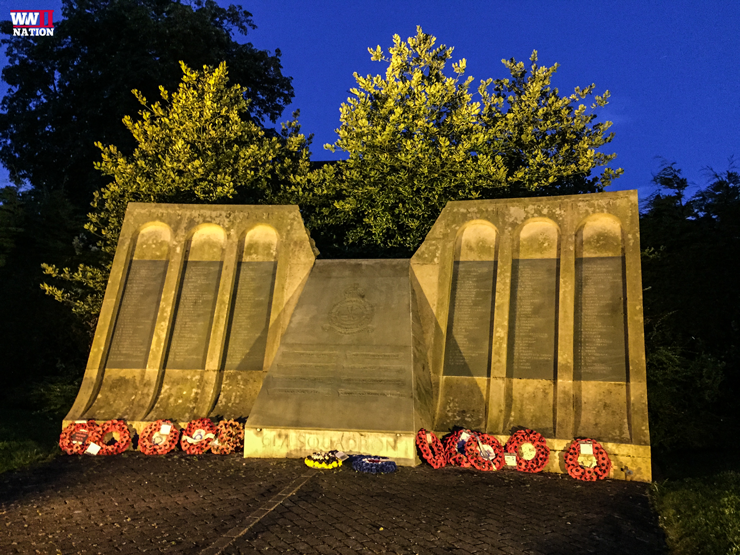 133 men took off on the night of 16 May 1943 for the Dams Raid with 617 Squadron. At the heart of the town of Woodhall Spa, the Dams shaped memorial dedicated to the members of No. 617 Squadron who did not make it home. 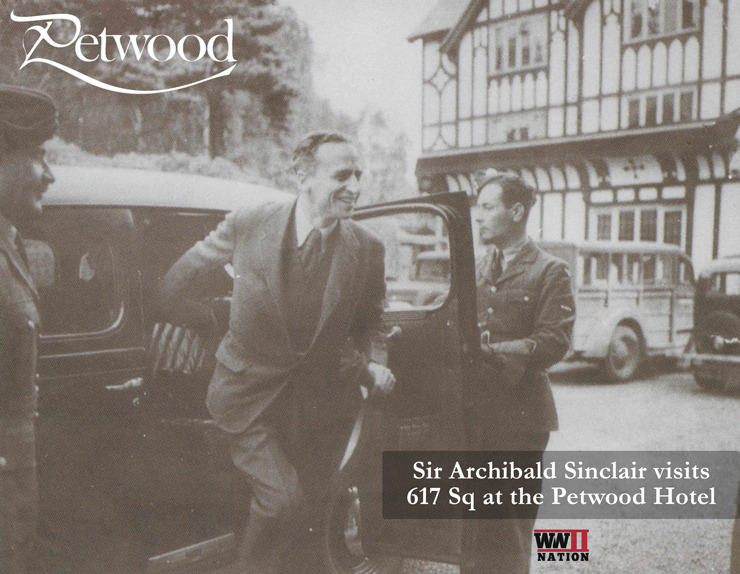 The Petwood Hotel was requisitioned by the RAF in 1942 as the Officers’ Mess. 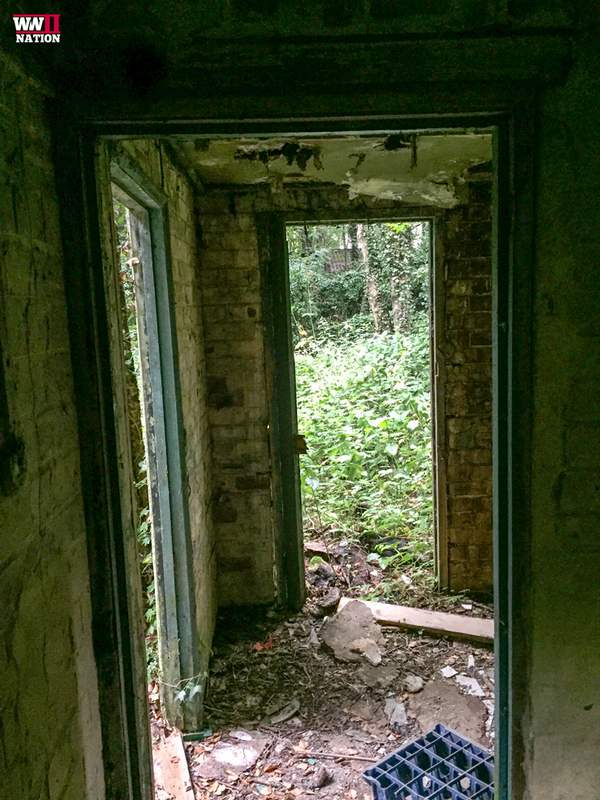 And saw a number of Officers from Squadrons stationed at nearby RAF Woodhall Spa stay here and visit here at one point or another. 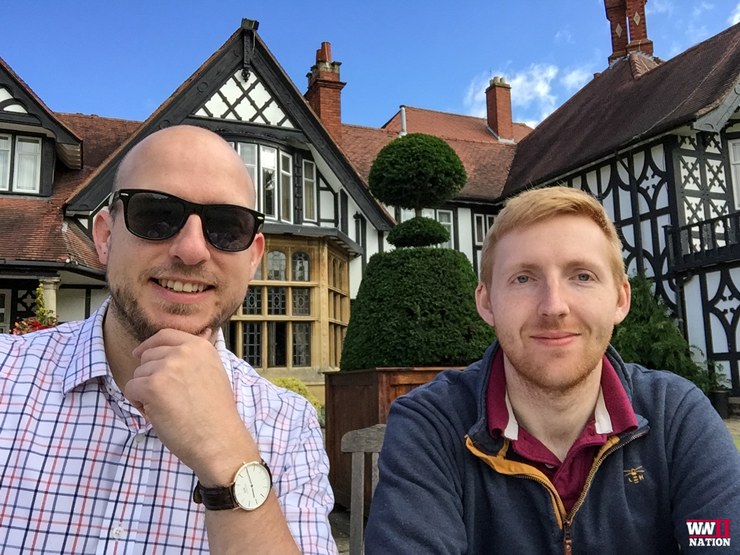 A cracking start to our final day of filming, enjoying a traditional operational Bomber Command meal of Bacon and Eggs on the terrace of the Petwood Hotel. 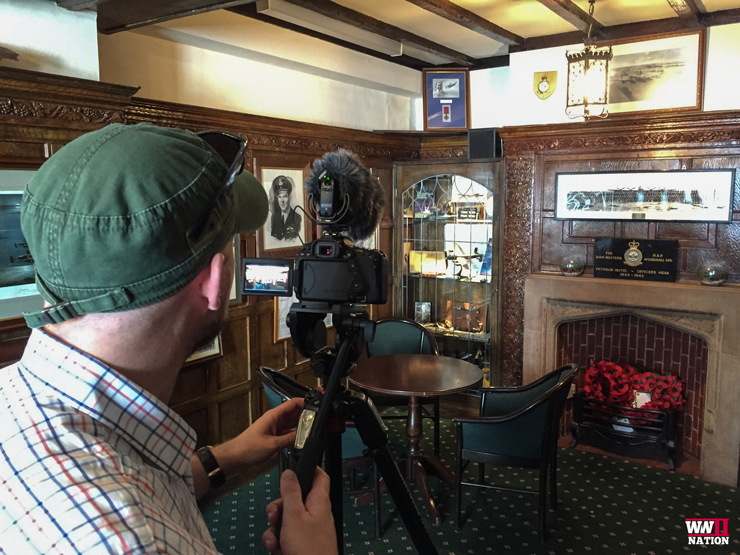 Filming inside the Squadron’s Bar, or what was the Officers’ Mess where many brave young men such as Guy Gibson, Leonard Cheshire, Les Munro, Tait, Evans-Evans as well as many others would have spent time trying to unwind and forget the realities of what they faced. Today there is an incredible collection & dedication inside the bar to these brave men. 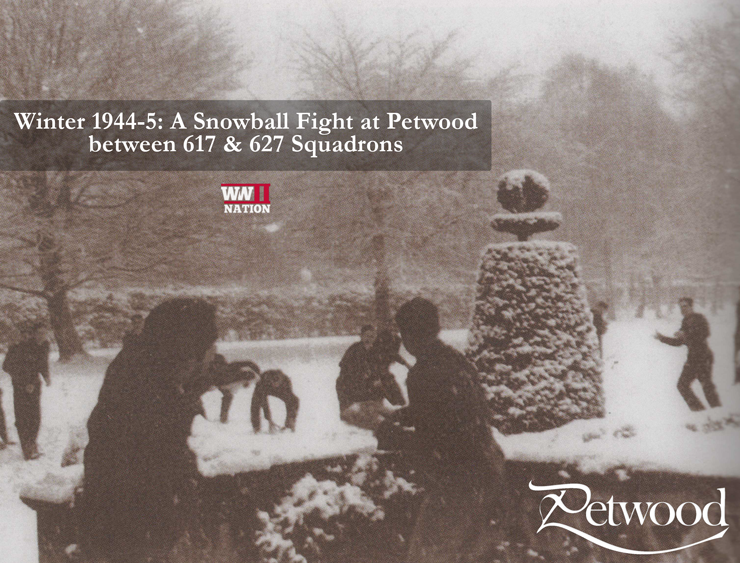 Winter 1944-45, members of 617 & 627 Squadron take part in a snowball fight in the gardens of the Petwood Hotel. 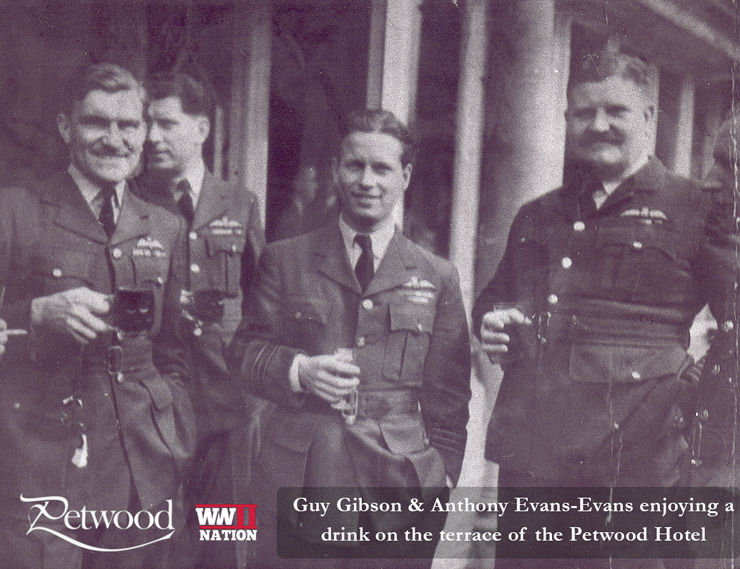 Guy Gibson & Anthony Evans-Evans enjoying a drink on the terrace of the Petwood Hotel. Possibly one of the last known photographs of Guy Gibson, as it was dated 2 weeks before his death in September 1944. Thanks for reading, we hope you found it of interest. 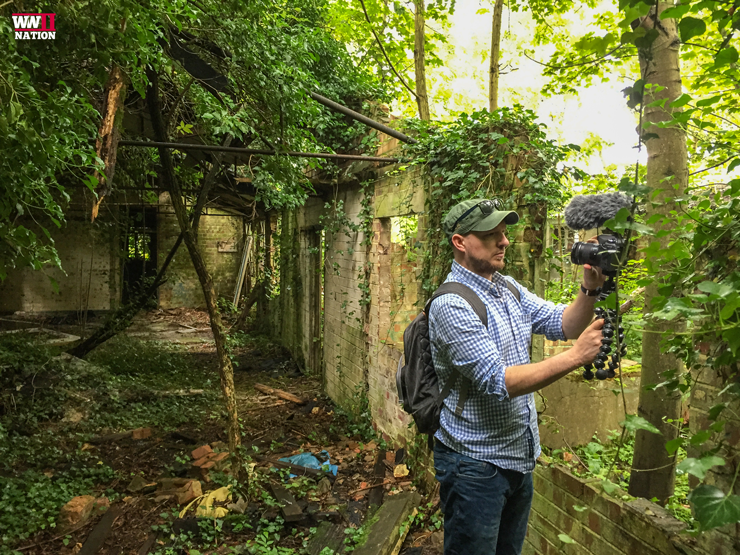 The Vlog of this recent trip exploring more of Bomber County will be available to watch shortly. 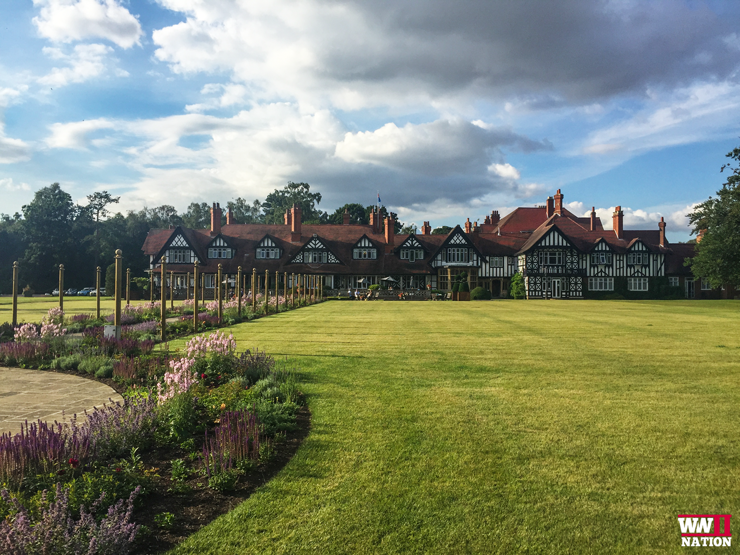 Also a huge thank you to Emma, Elaine and the rest of the team at the Petwood Hotel, as well as Nicky, Sue and Peter from the International Bomber Command Centre for making it a fantastic weekend. 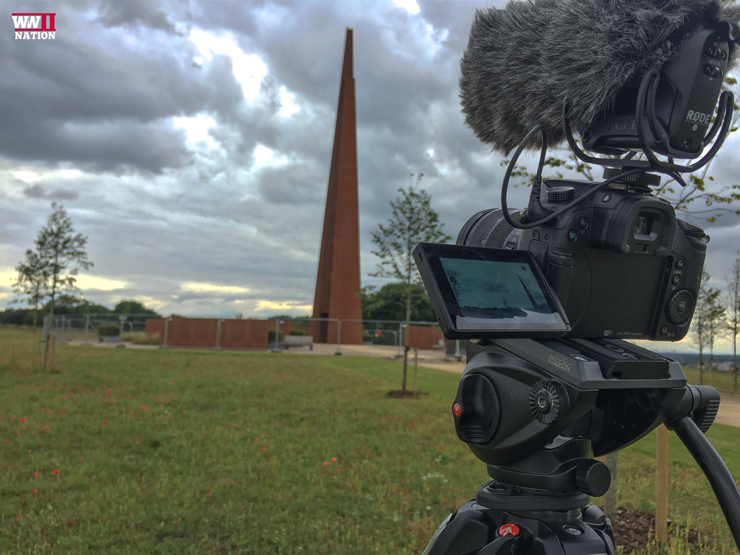 Find out about our previous filming trip at the Chalke Valley History Festival in Wiltshire. 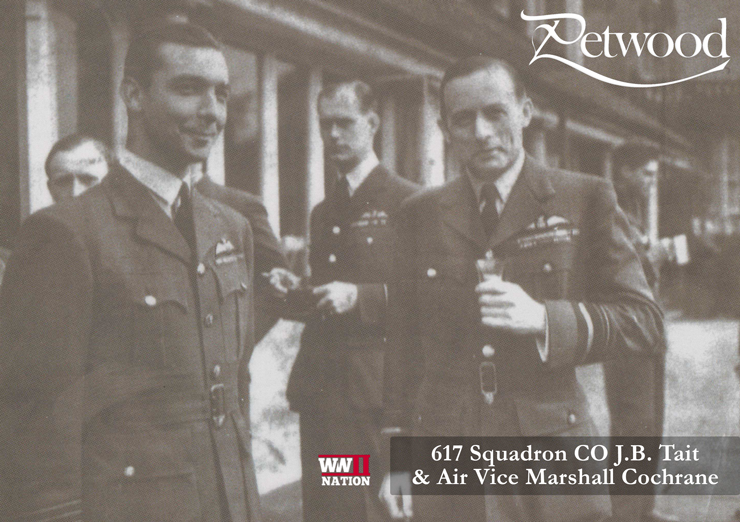 Photo Credits: The 4 Archive Photos of the men of Bomber Command during the Second World War, have kindly been provided, and we have been given permission by the Petwood Hotel to reproduce these here. All rights are reserved to the Petwood Hotel.